Your first visit to Old Town Salinas and the Steinbeck Museum is guaranteed to be a wonderful experience even if you haven't read one of his many classic novels beginning with "Grapes of Wrath", "Pastures of Heaven" “Cannery Row”, "Of Mice and Men”, “East of Eden” or my favorite "Travels with Charley." John Steinbeck was an iconic giant in the 1940's and 50's and left a legacy that many have forgotten or don't truly appreciate. This museum and all of the artifacts of that era will likely change your mind if you are not yet a fan. In "Pastures of Heaven" John Steinbeck writes brilliantly about about life in the “heaven and “hell “ of the Salinas Valley. This area was the background for much of his work. 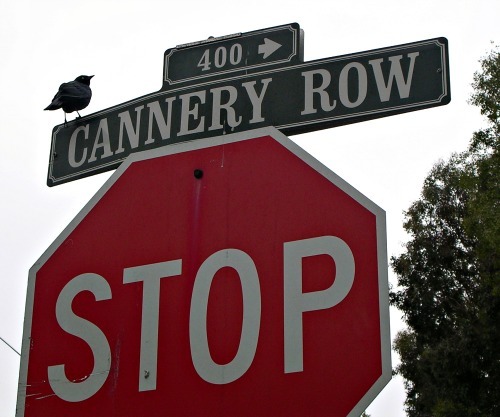 Other books depict the realities of life working in the sardine factories on historic Cannery Row in Monterey. You can even see the “real” Rocinante...the camper Steinbeck used in his travels across the country in the book "Travels with Charley." His first book “Cup of Gold” and then "Tortilla Flat" got the attention of hollywood novelists and John made enough money to purchase a ticket to go anywhere. Surprisingly, he wanted to see Salinas and the coast of California and that became his final destination. 2014 will celebrate the 75th year anniversary of the writing of “Grapes of Wrath” and the John Steinbeck Museum, so maybe this is a great time to make that visit. You will find vintage letters and memorabilia of artifacts and personal belongings used to inspire his writings. The museum is a wonderfully modern and architecturally impressive structure only about seventeen miles from Monterey, and is close to a number of outstanding wineries and restaurants that have a different vibe than those of the village of Carmel or Monterey and Pacific Grove. You might even visit a few of the antiques shops and maybe find that exact item needed for your home. The Center is open seven days a week except major holidays. If you really want an experience, visit the Steinbeck House Restaurant. Once the home the childhood home of John Steinbeck, this building is listed on the National Register of Historic Places and is located 2 blocks west of the Steinbeck Center at 132 Central Avenue in Salinas. Soups, sandwiches salads and desserts make up the menu and you expect to pay about $12 for a sandwich or the same for soup and sandwich…a bargain given the reality that the child John Steinbeck lived in this house and probably sat right where you are enjoying your lunch. You can even split lunch if you are not that hungry for $3. 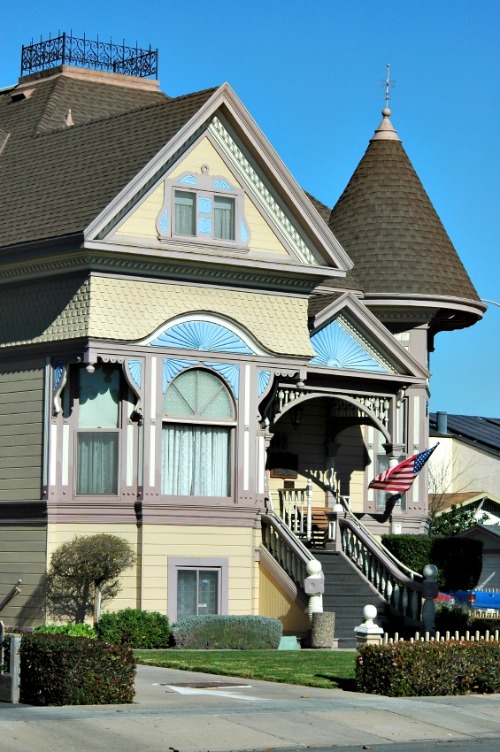 This Queen Anne Victorian home is a reminder of what everyday life might have been like back in the day. The Steinbeck House is operated by friendly volunteers who want the legend and reality of the infamous John Steinbeck to be kept alive. There is a small theater and also a gift shop. Street parking is usually an easy find. Probably plan on about 2 hours for your visit...perfect if its foggy in Monterey. If you have time on your excursion to the Central California Coast please consider a short departure from shopping and the sometimes busy pace of Monterey and Carmel and visit the classic Steinbeck Museum... and learn more about what is arguably one of California's greatest authors. If it's foggy or rainy in Monterey, Salinas might just be in the sun. 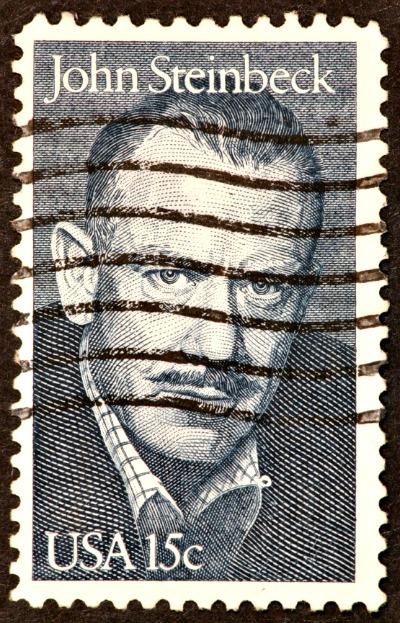 Would you like to see John Steinbeck up close? If so, and if the John Steinbeck Museum didn't satisfy your thirst for all there is to experience about this colorful writer, then you might move on to The John Steinbeck Wax Museum in Cannery Row in Monterey. There are over 100 realistic wax figures of John Steinbeck in a variety of scenes as well as, wax figures of native indians, prostitutes and cannery workers. Are You A Fan Of John Steinbeck? If you have been to the museum, have read his books or remember his stories in high school, share them here. Let us know your recommendations for future visitors. If you have read "Travels with Charley" or "Grapes of Wrath" tell us your story.